Description: Abby Goodwin has always covered for her sister. Maya's screw ups started out ordinary enough: Broken curfews. Failed classes. Hanging out with the wrong crowd. But now Maya's been accused of murder. And Abby's not sure she'll be able to cover for her anymore. Abby's certain of Maya's innocence--but she's the only one. With the police closing in, Abby helps Maya escape...and then starts investigating, hoping to clear her sister's name. 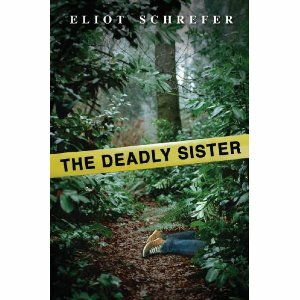 What she finds, though, shows how deadly her sister can truly be. 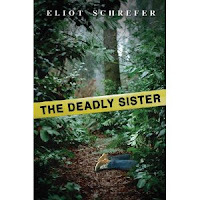 From the author of The School for Dangerous Girls comes a page-turning thriller about the things we do for family--and the limits we can reach. "I might have protected her forever, until Jefferson Andrews showed up dead"
"You thinking of coming in here, than you better get ready for a bunch of dead teenagers"
Ooh, this one looks great and I haven't heard of it yet. I'm always up for a good mystery! this book is awesome read it but i didnt read all of it coz im doing a school project on it so if you read it can you tell be wat happens at the end, i know how killed jefferson but i dont know how people found out and wat happened when people did find out ???? ?